Any person who’s been within shouting distance of a dog owner has probably heard the term “cone of shame,” a euphemism for the medically prescribed devices that dogs must sometimes wear. The cones, traditionally uncomfortable and made of stiff plastic, keeps dogs away from their post-surgery stitches or bothersome skin conditions. 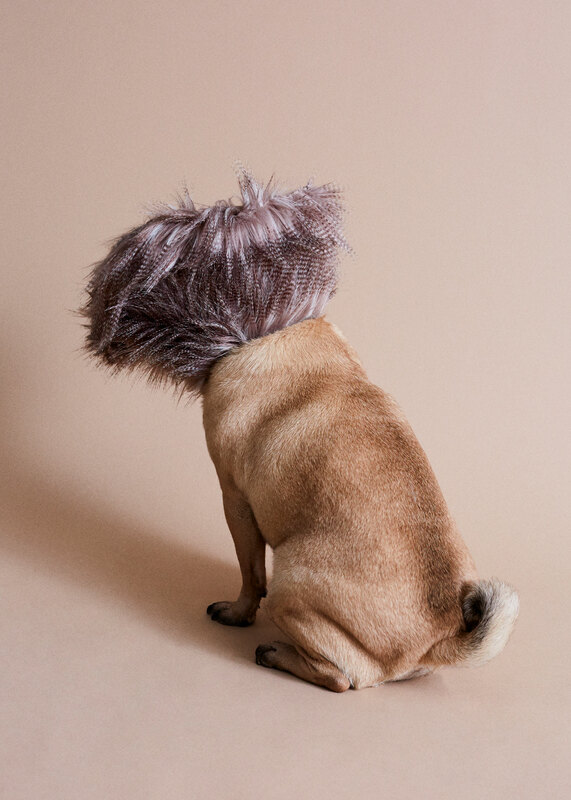 Photographer and dog mom Winnie Au sought to flip the narrative on these puppy-eyes-inducing devices by showcasing dogs in a variety of delightfully frilly and fluffy cones. 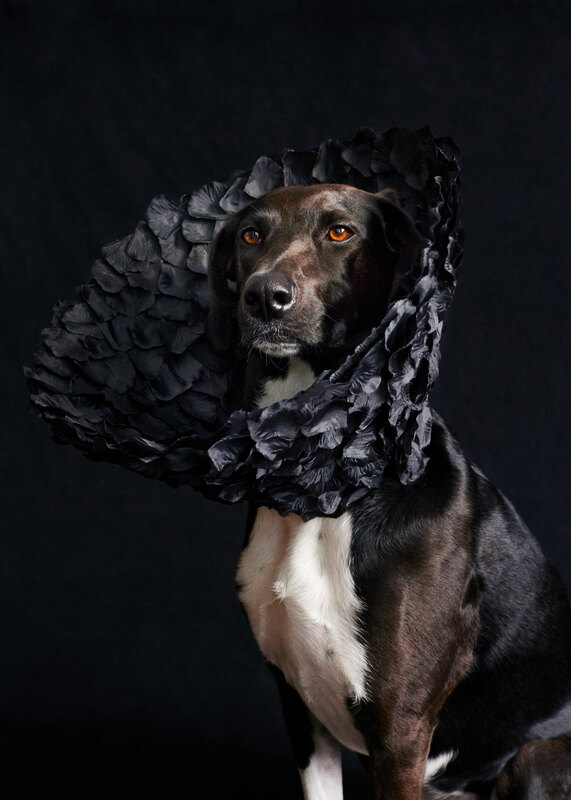 The photo series, Cone of Shame, complements each canine’s body type, fur, and personality with handcrafted cones by costume designer Marie-Yan Morvan. Au shares with Colossal that the featured dogs were cast from all over New York, as she and Morvan sought to discover interesting looking dogs, and also match canines to pre-existing cone concepts. The pair worked collaboratively to draw from Au’s loose ideas like “sea urchin” or “cotton candy,” and homed in on feasible designs and materials. Textured cones were formed from feathers, egg shells, and straws, and sleek designs were made with faux flower petals and makeup application wedges. Au has just released the “Cone of Shame” images in note card format, as part of a Kickstarter campaign that supports Animal Haven’s Recovery Road fund. 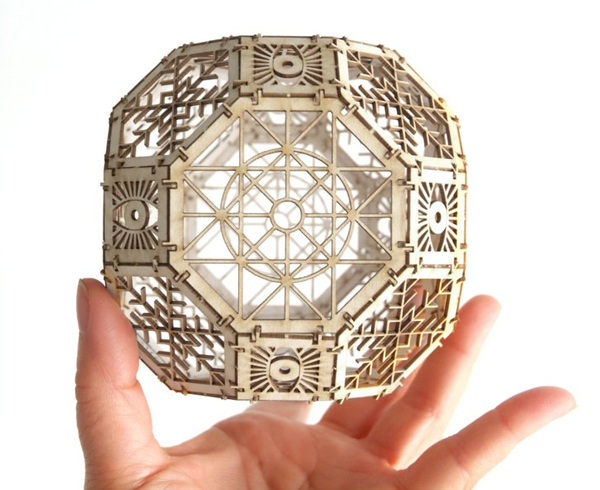 You can follow Winnie Au and Marie-Yan Morvan on Instagram. Photographer William Wegman began photographing his Weimaraner dog in the 1970s, and hasn’t looked back. Though his original pup, named Man Ray, has long since passed away, Wegman has continued his well-known series of anthropomorphic dog portraits with his more recent canine companions. Wegman has also created videos, children’s books, fashion campaigns, and even regularly occurring Sesame Street segments, all based around his dressed-up dogs. In this short video by Great Big Story, you can see behind-the-scenes of Wegman’s photo shoots, and his process of developing characters with costumes from his enormous prop room.